Businesses and organisations often come to us to apply our resources, expertise and technical knowledge to help solve problems. Read more about how you can access and benefit from our business services and expertise. Knowledge Transfer Parterships (KTP) are designed to help businesses improve their competitiveness and productivity by tapping into the knowledge, technology and skills offered by universities. We are one of the UK's leading KTP providers and won the collaborative Innovation Excellence Award at the London Knowledge Transfer Awards. We are also among a handful of universities that have been commended by the Higher Education Funding Council for England (HEFCE) for our KTP work. 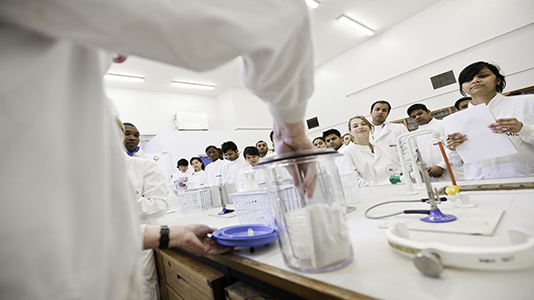 Find out more about working with LSBU on a KTP project. BrandHandling Ltd approached our Academy of Sport to test the efficiency of a sandal to promote training effects and this resulted in the creation of the Fit-flop. The shoe sold 14,000 pairs in London alone after being on sale for just 2 weeks.